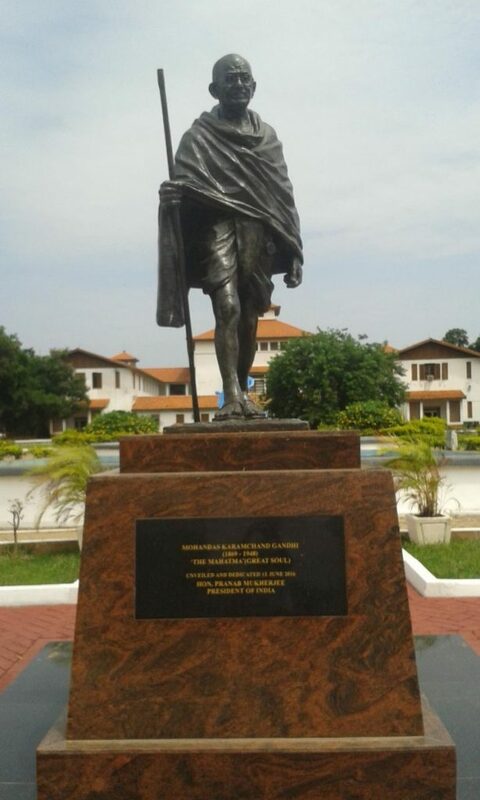 In October of this year, a statue of Mahatma Gandhi was removed from the grounds of the University of Ghana, only a few months after it had been erected there as a presentation from the visiting Indian President, Pranab Mukherjee. The petition states “it is better to stand up for our dignity than to kowtow to the wishes of a burgeoning Eurasian super power”, and quotes passages written by Gandhi which say Indians are “infinitely superior” to black Africans. More than 1,000 people signed the petition, which claimed that not only was Gandhi racist towards black South Africans when he lived in South Africa as a young man, but that he campaigned for the maintenance of India’s caste system, an ancient social hierarchy that still defines the status in that country of hundreds of millions of people. 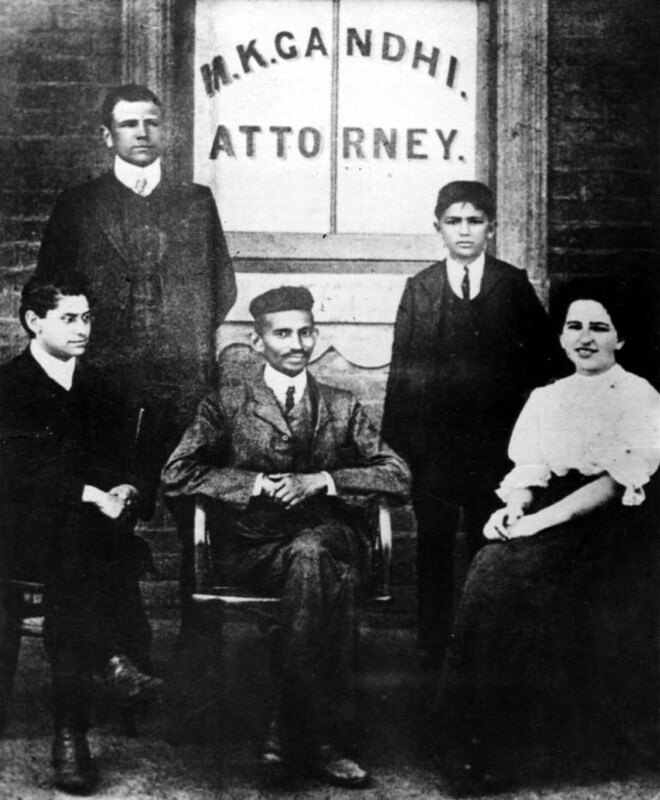 Gandhi’s life in South Africa, where he worked as a barrister defending the rights of the Indian community, is the subject of numerous scholarly works and articles. He spent twenty-one years of his life there, confronting an apartheid regime of strict racial discrimination, long before the authorities in Pretoria used the word ‘apartheid’ to describe their racially stratified society. His South African period is especially of relevance – why? This controversy around the Gandhi statue in Ghana arrives hot on the heels of a similar dispute that erupted back in March 2015 – Rhodes Must Fall. 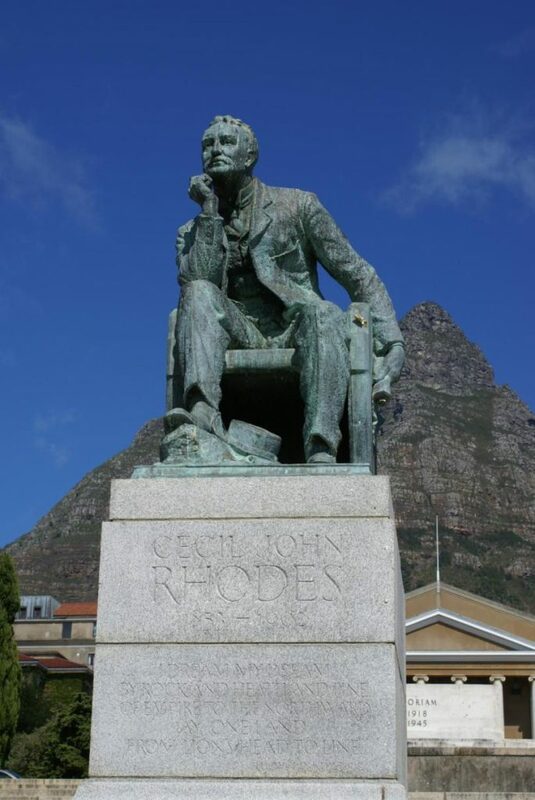 Students and lecturers from the University of Cape Town, South Africa, began a campaign to remove the statue of Cecil Rhodes, British empire-builder and racist entrepreneur-coloniser, from their campus. 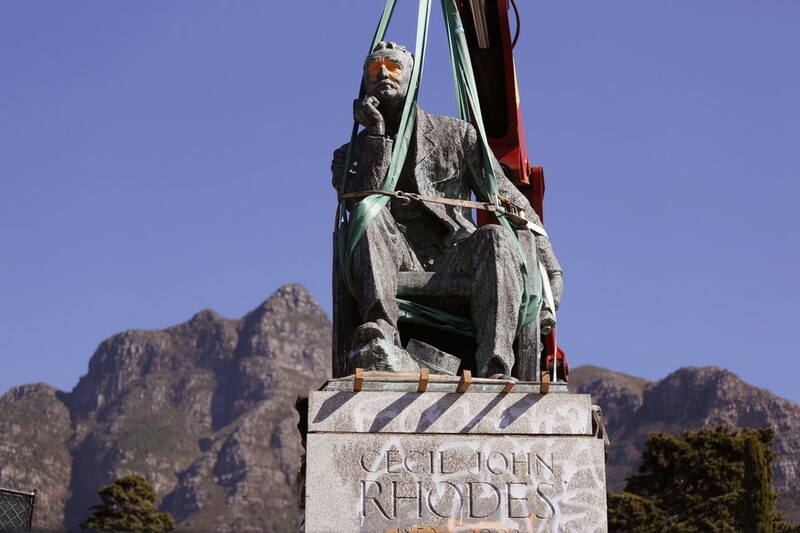 The campaign to remove the statue began a series of thoughtful and serious questions about the decolonisation of education, the progress (or lack thereof) of racial and economic equality in the post-apartheid South Africa, and the nature and role of the former British empire. A vociferous campaigner for British imperial rule, Rhodes founded the British South Africa Mining Company for the purpose of exploiting the rich mineral wealth of southern Africa. Rhodes, whose name was given to the country of Rhodesia (now Zimbabwe) openly expressed his motivations for empire-building – the superiority of the English people, as he saw it. He loudly and repeatedly expressed the view that British settler-colonialism was the highest priority for the British people, because the British were the ‘first race’ in the world. He made plain his disdain for whom he viewed as lesser races, namely, the black African people. Dying in 1902, Rhodes was unrepentant to the end, never wavering in his view that blacks must be ruled over by a class of wealthy whites. His history is one of racial hatred, treachery and deception in amassing enormous reserves of wealth and waging vicious wars against millions of black Africans. Rhodes is remembered today, if at all, for funding the scholarship that bears his name. Such a programme was intended to fund the brightest and best students from all of Britain’s colonial possessions, for the purpose of studying at elite British educational institutions. Australians can appreciate the academic calibre of Rhodes scholars until today, having made a lasting impact on Australian society with their superior intellectual skills. Be that as it may, the Rhodes Must Fall campaign highlighted the importance of addressing racial and economic iniquities, not for the purpose of self-flagellation, but for the purpose of redressing historical grievances. Rhodes and his role in creating the regional dominance of the British empire should never be erased from the historical memory – Rhodes Must Fall wants the world to know his crimes for the purpose of re-evaluating the legend that has surrounded Rhodes and his impact since his death. Every historical figure, including Rhodes and Gandhi, accumulate a vast body of myths and half-truths after they pass on – whether deliberate hagiography or the product of rose-tinted views of their work. Each person must be evaluated, if only to fully appreciate their achievements and weaknesses. Rhodes was a racist land-hungry imperialist, and for that reason, his statue must fall. If that is case, should not Gandhi’s statue also fall? Did he not make racist comments and statements about black Africans during his time in South Africa? Did he not support the British empire, going so far as to work as a stretcher-bearer for British forces in their war against the Boers in the early part of the twentieth century? Gandhi himself created and joined the Indian Ambulance Corps for the express purpose of providing service to the British military forces during the Boer War. A general belief seems to prevail in the Colony that the Indians are little better, if at all, than savages or the Natives of Africa. Even the children are taught to believe in that manner, with the result that the Indian is being dragged down to the position of a raw Kaffir. “I venture to point out that both the English and the Indians spring from a common stock, called the Indo-Aryan. … A general belief seems to prevail in the Colony that the Indians are little better, if at all, than savages or the Natives of Africa. Even the children are taught to believe in that manner, with the result that the Indian is being dragged down to the position of a raw Kaffir. Gandhi must be forgiven those prejudices and judged in the context of the time and circumstances. We are looking here at the young Gandhi, still to become Mahatma, when he was without any human prejudice save that in favour of truth and justice. Gandhi’s political technique and elements of the nonviolent philosophy developed during his stay in Johannesburg became the enduring legacy for the continuing struggle against racial discrimination in South Africa. (Speech made during the unveiling of the statue of Gandhi in Johannesburg in October 2003). As Gandhi took up the cause of his community in South Africa, he began to recognise the injustices of the racially and economically stratified society against which he and his supporters were fighting. The Boer war (1899-1902), during which the British armed forces committed numerous atrocities on the white South African minority, was a politically awakening experience for those who emerged from this trauma – Gandhi included. 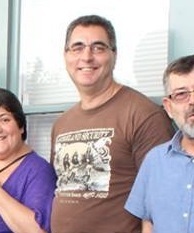 Non-white political organisations, paradoxically, were given a boost by the bitter experiences of this war. As the South African statelets – Natal, Transvaal and so on – moved towards establishing a national entity in the early years of the 1900s, the non-white communities found themselves collectively marginalised. In this context, witnessing the brutality of white-only rule against the indigenous and non-white populations served as a political awakening for the young Gandhi. If we look into the future, is it not a heritage we have to leave to posterity that all the different races commingle and produce a civilisation that perhaps the world has not yet seen. In 1912, the South African Native National Congress was formed – the predecessor of the African National Congress. Gandhi welcomed this development, and never sought to impose his example or leadership upon it. He only offered his philosophy of satyagraha – insistence on truth – as a method to combat racial oppression. As there has been an awakening in India, even so there will be an awakening in South Africa with its vastly richer resources – natural, mineral and human. The mighty English look quite pygmies before the mighty races of Africa. They are noble savages after all, you will say. They are certainly noble, but no savages and in the course of a few years the Western nations may cease to find in Africa a dumping ground for their wares. Having learnt from the experience of anti-colonial nationalism, Gandhi applied himself to the struggle in India for home rule. One of his lifelong comrades and staunchest supporters, Jawaharlal Nehru, not only learned from Gandhi’s example, but applied it to all oppressed groups. From the 1920s onwards, Nehru advocated the necessity of uniting on a multi-ethnic and pluralist basis, including oppressed people of all colours in the struggle against colonialism. He went on to become the first post-independence Indian prime minister, as well as the architect and leader of the Non-Aligned Movement. The non-aligned anti-colonial movements encompassed all races and ethnic groups for the common purpose of self-determination. One of the main exponents and practitioners of anti-colonial liberation was a black African political leader, Kwame Nkrumah – who lead his country, today known as Ghana, to independence. Nkrumah was a socialist and pan-Africanist, who derived inspiration from numerous sources. 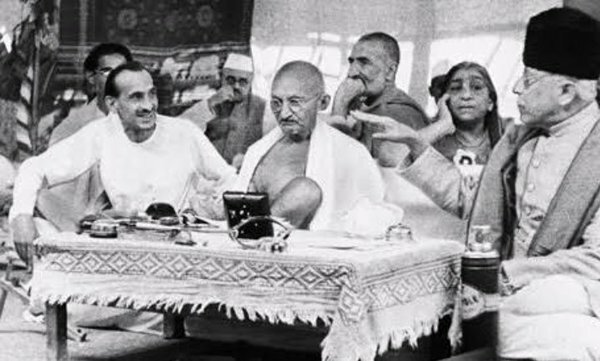 One of the sources from which he learned and drew inspiration was Mahatma Gandhi, whose doctrines of non-violence and non-cooperation profoundly influenced the Ghanaian anti-colonial campaign. It is obviously up to the authorities at the University of Ghana to decide whether or not to keep the statue of Gandhi on their campus. No-one can dispute that. However, rejecting Gandhi’s example would be a huge disservice to all those – from all races – who drew inspiration from the Gandhian model in their own anti-colonial struggles for self-determination.